Have you ever wondered how much straw could a strawberry bury if a strawberry could bury straw? 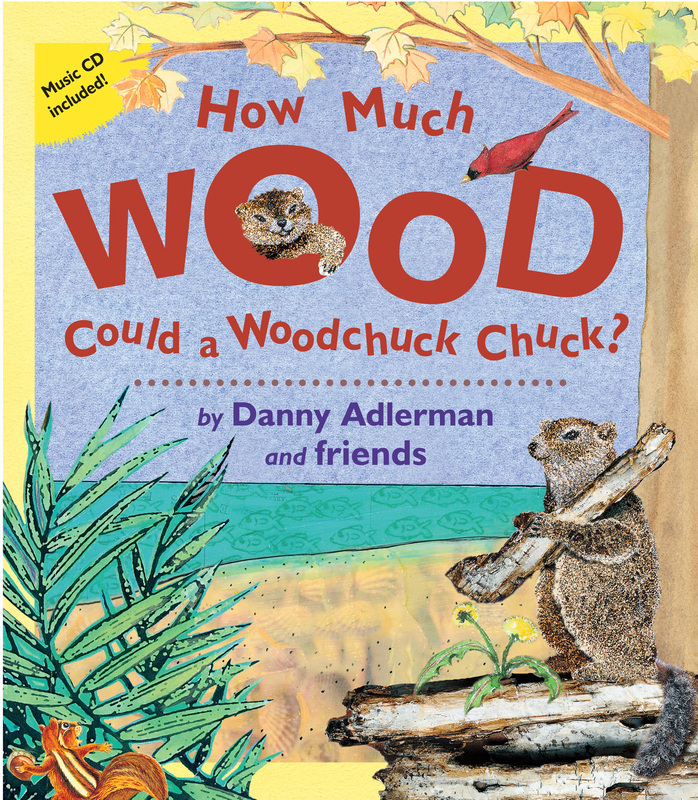 With one author, 12 artists, a few musicians, and 12 verses, How Much Wood Could A Woodchuck Chuck is the book and song that answers that question (and more) while inspiring you to laugh and sing along. The book comes with a CD of the song, both with AND without vocals, so you can make up compound word verses of your own! "This book/CD package takes a twist on an old tongue-twister and reinvents it in 12 different ways with art by 12 illustrators and a rollicking song. Two tracks—one with lyrics and one instrumental—allow creative freedom to express many more nonsensical verses. If you've ever wondered how much wood could a woodchuck chuck, the answer's still "as much wood as a woodchuck could chuck wood." But be prepared for many more curious questions that follow, such as "How much chi could a cheetah tie if a cheetah could tai chi?" and "How much sun could a sun bear bear if a sun bear could bear sun?" Ten active animals, a dainty buttercup, and a strawberry pirate take over this song adaptation. More than 50 hours was spent on the book's last spread, "The Could You? Spread," a collaboration effort to hide 53 compound words. The result is a wild and memorable story in sight and sound. Pictures include collages, photos, sketches, drawings, and paintings depicting the comical animal antics. The package can be used as a springboard for youngsters to come up with their own whimsical pictures and wordplay. For younger children, listening to the audio will reinforce phonological awareness, an essential early literacy skill and precursor to reading and writing. Danny Adlerman's jovial ditty, and Jim Babjak's guitar-playing will have listeners clapping, knee-slapping, and dancing along." 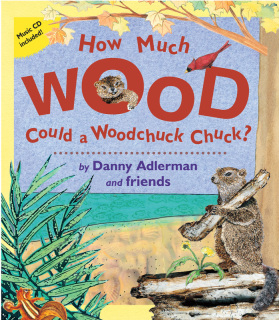 "Illustrated by twelve popular children's book artists, How Much Wood Could A Woodchuck Chuck? is a whimsical picturebook that expounds on tongue-twisting variations of its title. "How much night could a nightjar jar if a nightjar could jar night? / As much night as a nightjar could if a nightjar could jar night! / How much sun could a sun bear bear if a sun bear could bear sun? / As much sun as a sun bear could if a sun bear could bear sun!" An accompanying audio CD puts the lyrics of the book to song, in a simple melody written in musical notation in the back of the book; the CD also has a music-only track so that readers can sing on their own. The final picture spread features representations of many compound words, which are listed in the back cover. A wonderful read-aloud or sing-along book for parents and children to share together." "This colorful book, illustrated by twelve of Adleman’s friends, some of the top illustrators in the country, is filled with fun and laughter. You and your child will laugh as you experience the silliness as you turn each page. Each tongue twister is accompanied by a colorful, imaginative illustration created by a different professional artist. A CD accompanies this unique book; the words are printed on the last page for easy sing along fun. You will also find a list of compound words on the inside back cover, to be found in the illustrations, making this book educational as well as a lot of fun."